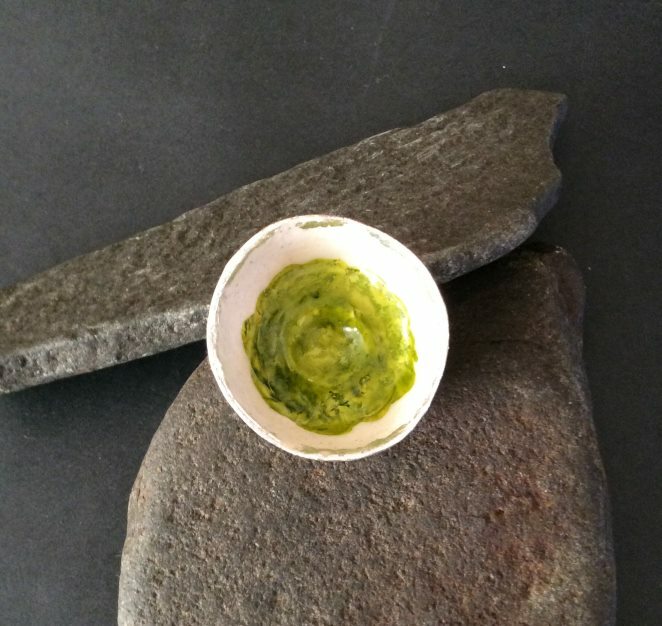 These tiny bowls can be functional – approx egg sized they can be used to serve rock salt or ground pepper, or you can keep tiny treasures such as a ring in them. 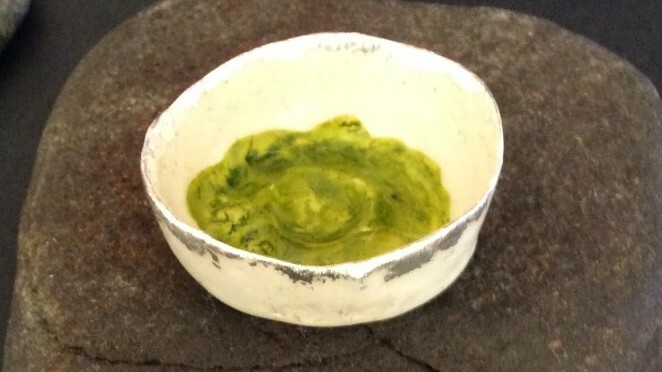 Made from handcrafted paper clay I make using recycled paper and fibres, this beautiful tiny bowl stands nearly 2cm high. 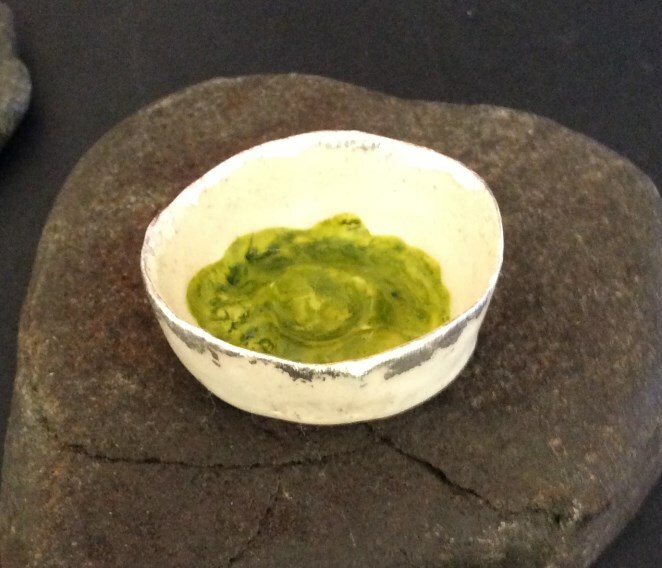 Intense pigment ink colours it centrally inside, the outside shows the natural creamy paper clay, which will go a little more goldy over time, as this bowl also has recycled coffee grounds in the clay mix. Encaustic wax adds to the luminosity, and protects the pigments. The edges have pure silver leaf wrapped over them. It’s a little hard to see in the photo with the light reflected on the silver.